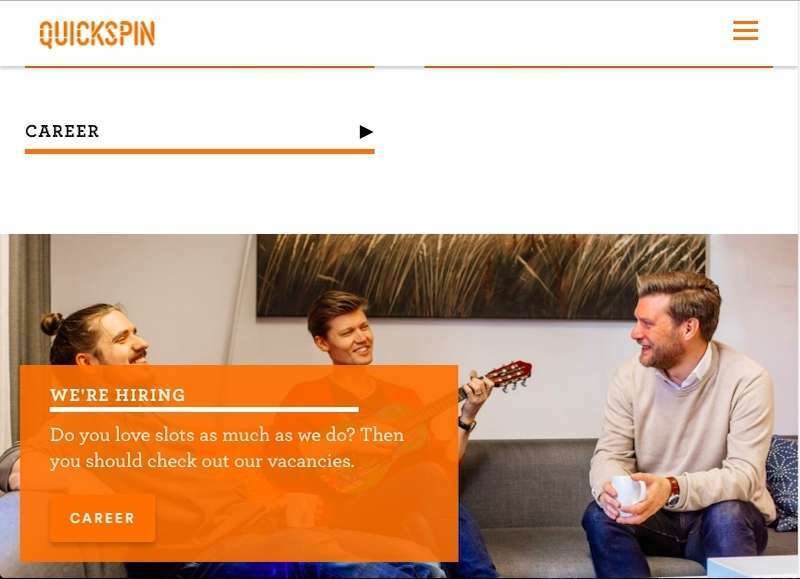 Quickspin is a casino software company that began operations in 2011. It was founded by distinguished entrepreneurs in the industry who had previously worked for top software providers like Net Entertainment and video game companies like Electronic Arts. The company was acquired by Playtech in 2016 and operates as the latter’s subsidiary. This notwithstanding, the software developer continues to manage its affairs with the founding team at the helm. The acquisition has been advantageous so far as it can now use Playtech massive resource base to develop even more games. The company has been able to tap Playtech’s extensive client base and significantly increase its client base. Summoning a fountain of innovation, the dedicated team has created over 25 slot games that are nothing short of masterpieces. Quickspin games share high-quality graphics, colorful interfaces, and great playability. Gamblers who have played Quickspin games will notice the uncanny resemblance to Net Entertainment products. 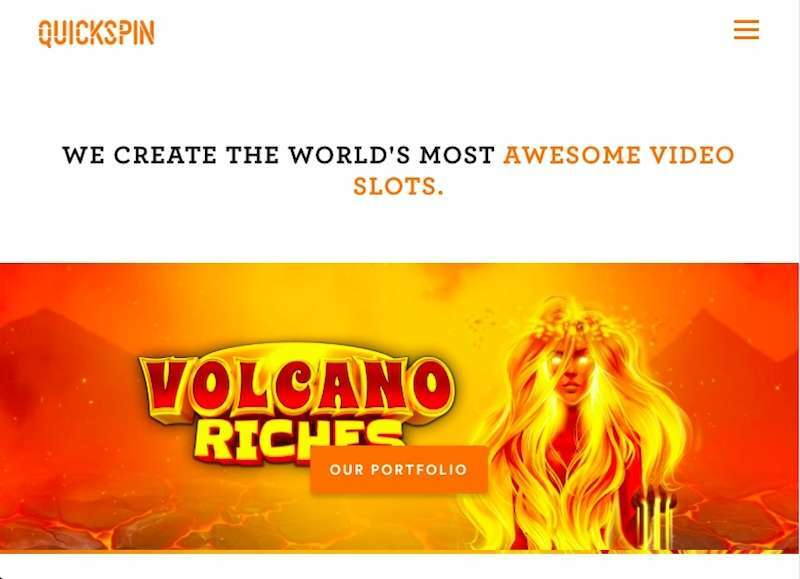 Despite this, Quickspin still stands out as a casino developer on its terms. The small online casino software provider is located in Sweden but offers its services to online casinos all over the world. Quickspin serves all of Europe and Latin America through a partnership with Betmotion, a company that is largely dominant in the Latin continent. It specializes in slot games but has plans to expand its range of products to include other casino game genres. The software company also supplies sets for social casinos as opposed to commercial brands. The social casino games can be played for free on social media platforms such as Facebook, Twitter, and others. Quickspin’s mantra has always been to bring passion, innovation, and quality into online casino games. The team of developers is comprised of slot enthusiasts who are determined to develop games that they enjoy playing. Their hard and quality work has been awarded on several occasions. Most notably, Quickspin was ranked 39 in EGR’s 2013 listing on software providers. Considering that it was only their second year of operation, it was quite a feat to achieve. In the same year, the small but accomplished developer scooped the prestigious Rising Star award, Mobile Gaming Software of the Year Award, and Social Gaming Supplier of the Year Award. In addition, Quickspin was also among the providers nominated for “The Slot Provider of the Year Award.” It is fair to conclude that Quickspin has seen success in a brief time. This review will highlight the salient features of the software providers and preview some of its most popular titles. So far Quickspin games primarily run on HTML5 which is a cross-platform coding language that allows games to be launched on mobile devices as well as PC. The software is supported by Android, iOS, Windows mobile, Windows for PC, and Blackberry. The software is distributed to online casinos by Quickfire which is Microgaming’s distribution arm. Games accessed through Quickfire can be launched in instant play. This means that the player does not require to download the software to begin playing it. Quickspin games come with a variety of customizable features. Clients have a designated slot for them to embed their company logo in the gamed. Sets will also be displayed in different languages depending on the user’s preferences. Quickspin excels in the provision of slot games for online casinos and social gaming slots as well. As earlier mentioned, Quickspin slots are superior to most run-of-the-mill slots supplied by other software providers. Since the company focuses on the provision of slots, they have mastered the elusive art and only release games with a caliber. Further, all the slot games have an impressive RTP rate of between 95% and 98%. The casino software provider’s expertise is in slot games. However, the company thrives on quality rather than quantity. All 25 titles developed by Quickspin so far eschew a high standard of quality. They showcase high quality, original themes, smooth gameplay mechanics, and sophisticated audio effects. Moreover, some of the games have good animations and thought-provoking plots. Slot games draw their inspiration from familiar childhood stories and legends while others base their storylines on famous novels. For instance, the Big Bad Wolf slot game is an adaptation of the classic fairytale of Little Red Riding Hood. This slot holds down the fairytale theme in its reel symbols as well as the bonus features. Another familiar story that a gambler might find is Beowulf. Treasure Island and The Three Musketeers borrow heavily from novels with the same names. Even so, original themes and storyline dominate the software provider’s game portfolio. Seven Highs 7, Second Strike, and The Epic Journey are some of the slots that manifest unique themes. This is a video slot with three reels. It is one of the Quickspin’s most played titles. Seven High takes a retro theme and blends it seamlessly with modern video slot features to complete a fun and thrilling slot game. It is simple to play and contains an incentive for players such as free spins, wild symbols, and generous payouts. The hit movie franchise Minions inspired this five reel video slot. Like the movie, Spinions bursts with color, adventure, and infectious quips. It is one of Quickspin’s newer releases, so you can expect to find the latest in gaming technology used. Players can join the Spinions to benefit from a range of special features such as bonus spins, scatters, wild symbols, and sticky symbols. This slot recalls the 80’s movies. It features some incredible animations, a good graphics display, and many beautiful ladies. It is definitely an exciting game, especially, for casino enthusiast with a taste for the good life. Quickspin software has licensed Plumbee Social Gaming to distribute its entire social gaming library. Social Gaming titles allow Quickspin to tap a fast-growing social media market by offering free games like Rapunzel’s Tower and Goldilocks and the Wild Bears. The games can be played on Facebook by accessing Plumbee’s Mirror Ball slot application that can be embedded in the social media platform. 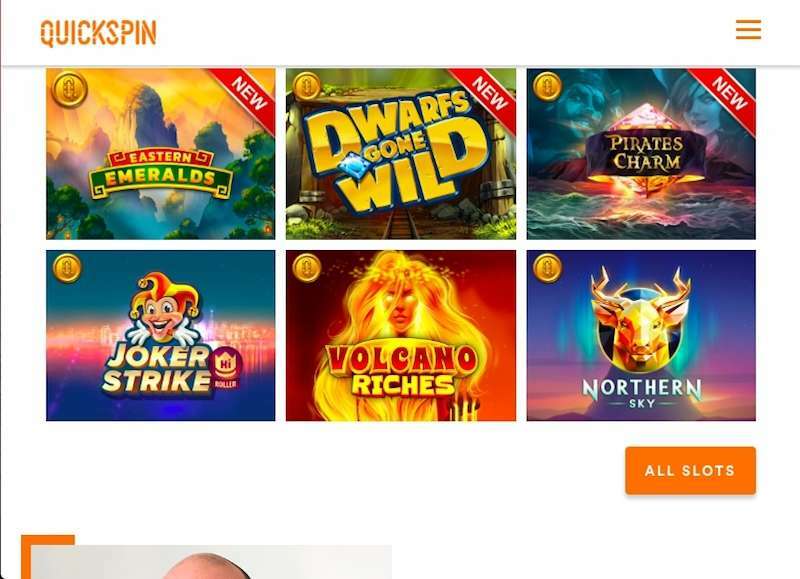 Gamblers will also be thrilled to learn that the other Quickspin casinos offer bonuses upon sign up which can be used to play their favorite slots from the casino software provider. Quickspin success can be attributed to its specialty in slot games. Partnering with Playtech also built their already solid reputation. All in all, Quickspin shows much promise for gamblers. The online gambling community ardently anticipates their next release.